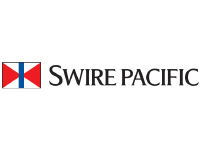 Swire Pacific Limited is one of the leading companies in Hong Kong, with diversified interests in five operating divisions: Property, Aviation, Beverages, Marine Services and Trading & Industrial. The Group’s operations are predominantly in Greater China, where the name Swire or 太古 has been established for over 140 years. Swire Pacific Offshore (SPO) is a trusted name in the offshore marine industry. Established since 1975, we are a leading service provider to the offshore oil and gas industry, with a global presence. SPO owns and operates more than 85 offshore support vessels, with some vessels on order to be delivered by the end of 2015. SPO’s fleet is modern with an average age of 7.7 years. A majority of the fleet is equipped with dynamic positioning systems (DP1 or DP2). Type of vessels owned includes anchor handling tug supply vessels, platform supply vessels, ice-breaking supply vessels, anchor handling tugs, seismic survey vessels, wind-farm installation vessels, accommodation vessels and multi-purpose offshore vessels. SPO is capable of supporting a wide range of offshore activities, from drilling, exploration, pipe-lay, subsea construction, seabed survey to windfarm installation. For more information about our vessels, see fleet profile. Headquartered in Singapore, with regional controlling offices in Brazil, Australia, Cameroon and the United Arab Emirates, and agent offices in various localities, SPO is well poised to operate vessels in every major oil exploration region outside of North America. Expansion in capabilities to other complementary services like seismic survey, emergency response to oil spillage, salvage and deepwater recovery operations enables SPO to become a one-stop solution to meet clients’ diverse needs.